This article was written by a former member of WSC PI Committee in 1999 as a resource paper for the Asia Pacific Zonal Forum. It was distributed by Fellowship Services at the World Service Office. Please note the “dated” references to service positions and literature for that time. March 14, 2012: In reviewing this document with members of the discussion board, this aspect of public information/public relations is not emphasized in the current Public Relations Handbook. Although acknowledged as being important, few committees actually have and implement such a plan. In “A Guide to Public Information” prior to the current PR Handbook, contingency planning was a priority. We leave it to the reader to decide if it should be an addition to the guides for their PI/PR Committees. Postal replies to public inquires (content of mailing, i.e., cover letter, meeting schedule, the number and type of information pamphlets.). Costs associated with speaker requests (literature, administrative costs, travel reimbursement of trusted servant, or facility rental). Returning telephone calls to out-of-area callers (policy on costs and type of calls to respond to). Third, the contingency plan needs to reflect the guidelines of the subcommittee and the plan needs to be tailored to honor the policy of the committee it serves (area or regional service committee). Guidelines need not be written to be so overly burdening that they inhibit action. Guidelines should be simple enough to give the subcommittee a method for making decisions. Subcommittees should always be open to change as their experience grows and change their contingency plan accordingly. Now that we have an idea of what the contingency plan should consist of, we need to gather information for preparation to writing it. Bring together the financial and material resource information for the subcommittee. Fashion a list of NA members in your area that are public information-minded and can honor the Twelve Traditions. Get their telephone numbers and other information as needed. Make sure you include PI contacts outside your local area. Gather guidelines or policies that affect your subcommittee’s operation. Seek other area or regional PI subcommittee guidelines or policies to help you compare. Now you are ready to write your contingency plan! Begin by writing a basic outline, divided into sections by the different types of events that PI subcommittees normally respond to, adding other categories as you may feel is necessary. Then divide each section into subcategories that apply for that particular section. These subcategories should reflect policies and trusted servant responsibilities. Processes should be written simply with clear lines of responsibility. Once you have a draft outline of your contingency plan, you can begin to fill in the needed information. The trusted servants listed above should serve as the focal points for coordination of communications within the Fellowship and for their respective committees or subcommittees. Through NA members – Communications passed on to the PI subcommittee through NA members should be given to the Chairperson or Vice Chairperson of the PI subcommittee as soon as possible. The Chairperson or Vice Chairperson will contact the NA member to gain as much information as is necessary to follow through on responding to the public information request. The Chairperson or Vice Chairperson may appoint a PI subcommittee member to handle the request. Communication with the member(s) of the public should be done within 24 to 48 hours, whether by e-mail, telephone call, and postal service or in person (in pairs of trusted servants). Through the Phoneline – Communications passed on to the PI subcommittee through trusted servants of the Phoneline subcommittee should be given to the Chairperson or Vice Chairperson of the PI subcommittee as soon as possible. The Chairperson or Vice Chairperson will acknowledge receipt of the contact and seek to gain as much information as necessary to follow through on responding to the public information request. The Chairperson or Vice Chairperson may appoint a PI subcommittee member to handle the contact. Communication with the member(s) of the public should be done within 24 to 48 hours, whether by e-mail, telephone call, and postal service or in person (in pairs of trusted servants). Through the Mail – Communications passed on to the PI subcommittee through the Area Service Committee Secretary or from other Area Service trusted servants should be given to the Chairperson or Vice Chairperson of the PI subcommittee as soon as possible. The Chairperson or Vice Chairperson will acknowledge receipt of the information and gain as much information necessary to follow through on responding to the public information request (if necessary). The Chairperson or Vice Chairperson may appoint a PI subcommittee member to handle the request. Communication with the member(s) of the public should be done within 24 to 48 hours, whether by e-mail, telephone call, and postal service or in person (in pairs of trusted servants). Through the Internet – Communications passed on to the PI subcommittee from the trusted servants of the Area Web Page workgroup should be given to the Chairperson or Vice Chairperson of the PI subcommittee as soon as possible. The Chairperson or Vice Chairperson will acknowledge receipt of the information and gain as much information necessary to follow through on responding to the public information request (if necessary). The Chairperson or Vice Chairperson may appoint a PI subcommittee member to handle the request. Communication with the member(s) of the public should be done within 24 to 48 hours, whether by e-mail, telephone call, and postal service or in person (in pairs of trusted servants). From other NA Service Boards or Committees – Communications passed on to the PI subcommittee from the Area Service Committee Secretary or other responsible trusted servant should be given to the Chairperson or Vice Chairperson of the subcommittee as soon as possible. The Chairperson or Vice Chairperson will contact the trusted servants of the Area Service Committee to acknowledge receipt of the information and share the nature of the communication(s). Necessary follow up and responses will be communicated to the Area Service Committee Chairperson or vice Chairperson. The Chairperson or Vice Chairperson may appoint a PI subcommittee member to handle the request. Disposition of the communication will be coordinated through the Area Service Committee Administrative Subcommittee. Costs for postal mailings will conform to budgeting as approved by the Area Service Committee for the PI subcommittee’s communications costs. Costs for long distance telephone calls will be reimbursed to the PI subcommittee Chairperson for up to $20 per month. Who is Responsible – Requests for a presentation will be coordinated by the Chairperson or Vice Chairperson of the PI subcommittee. If there the Presentation Coordinator position on the PI subcommittee is filled, the responsibility for handling the request will be given to the Presentation Coordinator. When and where is the presentation being requested for? What expectations does the organization have of NA? Any special circumstances or requests are being made of us? Are there any additional costs involved with the requested presentation? Materials and Budget – The trusted servant assigned to responding to the request will determine if funding for materials needed for the event is available. Decision Making – The decision for determining if a request will be honored, which materials will be used and the choice of trusted servants to attend will be the responsibility of the PI subcommittee as a whole. If a meeting of the subcommittee is not scheduled in time to respond to the request, then the subcommittee leadership will make the decision. Factors such as time frame, available materials, trusted servant availability; any special circumstances or requests and the forum for the presentation will be considered in the decision to honor the request. If the decision is that we not honor the request, then the trusted servant coordinating will inform the requesting contact person of our decision. Who is Responsible – Requests from any media (print, radio, video or the Internet) will be coordinated by the Chairperson or Vice Chairperson of the PI subcommittee. If the Media Coordinator position on the PI subcommittee is filled, the responsibility for handling the request will be given to the Media Coordinator. Depending on the information gathered trusted servants should be notified by the Chairperson or Vice Chairperson of the PI subcommittee as soon as possible. If the nature of the request falls under guidelines of the NA World Services Public Information Contingency Plan, that information will be passed on to the WSO Coordinator. It is always advisable to contact the World Service Office Public Information Coordinator to discuss any media requests that may result in film crews and/or TV interviews with addicts. Are there any special circumstances or requests are being made of us? Materials and Budget – The trusted servant assigned to responding to the request will determine if funding for materials needed for the event is available. Additional materials may be necessary not normally used such as video and radio public service announcements, or the “Just For Today” video. Any other costs should be evaluated by the PI subcommittee if an out-of-budget request is needed of the Area Service Committee to accomplish the task. Decision Making – The decision for determining how the request will be responded to will be the responsibility of the PI subcommittee leadership in conjunction with the leadership of the Area Service Committee and any other boards or committees of Narcotics Anonymous in a spirit of cooperation. Factors such as time frame, available materials, trusted servant availability; any special circumstances or requests will be considered in the decision on how to respond to the media inquiry. If the decision is that we not honor the request, then the PI subcommittee leadership will inform the media contact person of the decision. Who is Responsible – Any request of contact that may affect other areas, regions or NA World Services will be coordinated by the Chairperson or Vice Chairperson of the PI subcommittee. Any special circumstances or requests are being made of us? Which service boards and committees need to be notified of the contact? Who are the contact persons for these affected service boards and committees? Are there any additional costs involved with the requested presentation? Materials and Budget – The Chairperson or Vice Chairperson of the PI subcommittee assigned to coordinating communications on the request or contact will determine if funding for materials needed for the event is available. It also may be a matter of coordination with other service committee or board expenses. Additional materials may be necessary not normally used such as video and radio public service announcements or prepared press releases (see A Guide to Public Information). Any other costs should be evaluated by the PI subcommittee leadership if a special request is needed of the Area Service Committee Regional Service Committee or to NA World Services. Decision Making – The decision for determining how the request will be responded to will be the responsibility of the PI subcommittee in conjunction with the leadership, appointed trusted servants or special workers of Narcotics Anonymous with a spirit of cooperation. Factors such as time frame, available materials, trusted servant availability; any special circumstances or requests will be considered in the decision on how to respond to the request or contact. List of Local PI Contacts – PI subcommittee members and NA members chosen by the PI subcommittee would be listed here with appropriate contact information, trusted servant position (if applicable) and area experience in public information activities. List of Area Trusted Servants – Area Service Committee trusted servants would be listed here with appropriate contact information, trusted servant position and area experience in public information activities. List of Regional Trusted Servants – Regional Service Committee trusted servants would be listed here with appropriate contact information, trusted servant position and area experience in public information activities. List of NA World Services Contacts – NA World Services trusted servants and special workers would be listed here with appropriate contact information, trusted servant position and area experience in public information activities. This is only the beginning of a contingency plan for your PI subcommittee. This plan should be adjusted and updated as needed on a timely basis. Now that you are done with the contingency plan, what do I do with it? It should be distributed to all PI subcommittee members. The plan has so many details that it may be too much information to be passed on to the GSRs and other trusted servants at the Area. Write a brief, one page summary of the contingency plan outlining why you have this plan, who should be contacted and how they may be contacted is all that is necessary. This also is a good opportunity to educate the NA members on public information and the NA member. 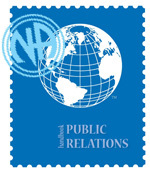 Include with your contingency plan summary the Information Pamphlet #15, “PI and the NA Member”, which elaborates on the responsibilities of NA members in honoring our Traditions concerning public relations policy. Have I forgotten anything? Having a contingency plan will help you greatly in your service in public information.